Chapter 13 is a good option for people who owe debts that are not dischargeable under Chapter 7, another common form of bankruptcy. If filing for bankruptcy to take to protect yourself and your family, you may need Justin M. Myers a Chapter 13 bankruptcy attorney in Salt Lake City before proceeding. You don’t plan to go into debt beyond what you can control. We understand that. Sometimes, forces out of your control lead you to consider filing for bankruptcy. Financial instability can be overwhelming and scary and filing for bankruptcy can be an emotional time for you and your family. Contact Justin M. Myers, Attorney-at-Law, LLC. We want to help you through the process. This doesn’t have to be a situation that is out of your control. If you are considering filing for bankruptcy, you may need a Salt Lake City chapter 13 bankruptcy attorney. We will go over all of your options, including which type of bankruptcy will help your situation the most. We understand how stressful debt can be. You don’t plan on it overwhelming you, but there are things that happen that are often out of your control. If you have a small business or are self-employed, you are especially susceptible to economic downturns or market fluctuations. Sometimes people can ride the downturns out until the economy turns around. Other times, debt climbs higher and higher until it seems like there are no options. But you DO have options. 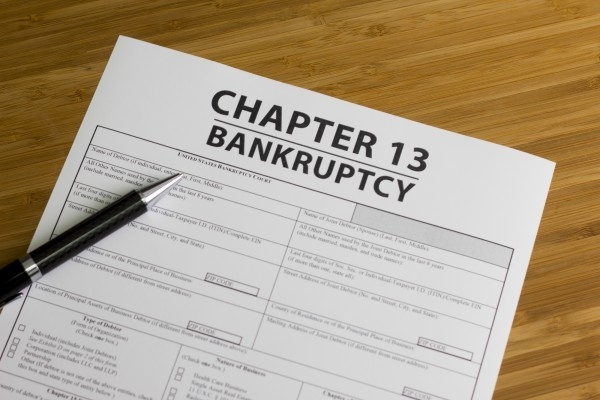 Filing for Chapter 13 bankruptcy is one of those options, especially if you still have a regular income and do not want to lose any of your property. It allows the debtor (you) to outline a payment plan on a negotiated settlement with creditors. Often, the amount that is agreed upon to be paid back is only a fraction of the original debt. The payment plan can last for between 3 to 5 years, allowing you to slowly get your finances under control. Chapter 13 is a good option for people who owe debts that are not dischargeable under Chapter 7, another common form of bankruptcy. These types of debt can include owed taxes and child support. Chapter 13 is also a good route for those who have liens against them that are larger than the value of their assets, as well as for those behind on their house or vehicle payments. Filing for Chapnkruptcy can stop a foreclosure that is in process. If filing for bankruptcy is the route you need to take to protect yourself and your family, you may need a bankruptcy attorney in Salt Lake City before proceeding. The bankruptcy process can become confusing because you have to deal with every creditor you have as well as perform a full assessment of your assets. When working with the courts, a trustee, and creditors, you can get overwhelmed if you try to do this on your own. Our experienced attorneys will walk you through the process, explaining both federal and Utah bankruptcy laws. We will help you get a repayment plan put together and submitted to the court. Contact Justin M. Myers, Attorney-at-Law, LLC by clicking here or calling us at 801-505-9679. We want to be a part of the team that helps you and your family get back on track.